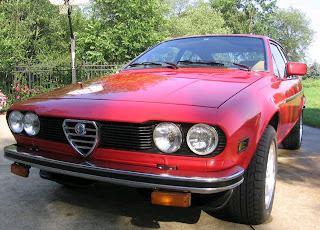 1978 Alfa Romeo Alfetta GT - I wrote about this car back in August, 2009. (You can find the post here.) 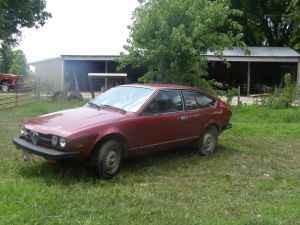 I called it a truly remarkable find, being a rust free Alfetta. The current owner started posting about the car on the Alfa Bulletin Board back in December 2010 and I've been following it ever since. I have a soft spot for Alfettas (my first two Alfas were Alfettas) and this GT is one of the nicest I've seen. The owner has done a ton of work to it in the past half a year, but (typically, for car geeks) has too many projects and not enough time / room to keep this car. This car is most likely going to sell for top dollar and, in my opinion, is well worth it. Located in Canton, OH, click here to see the eBay listing. 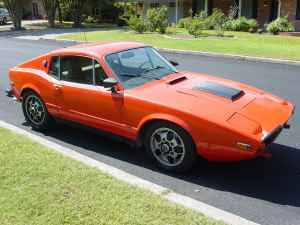 1973 Saab Sonett - All of a sudden Saab Sonetts are appearing everywhere. This one needs a bit of work, but the body and interior look clean. 1968 AC 428 - This is not your typical JaCG car. But, it's so impressive in both looks and performance, I had to post it. 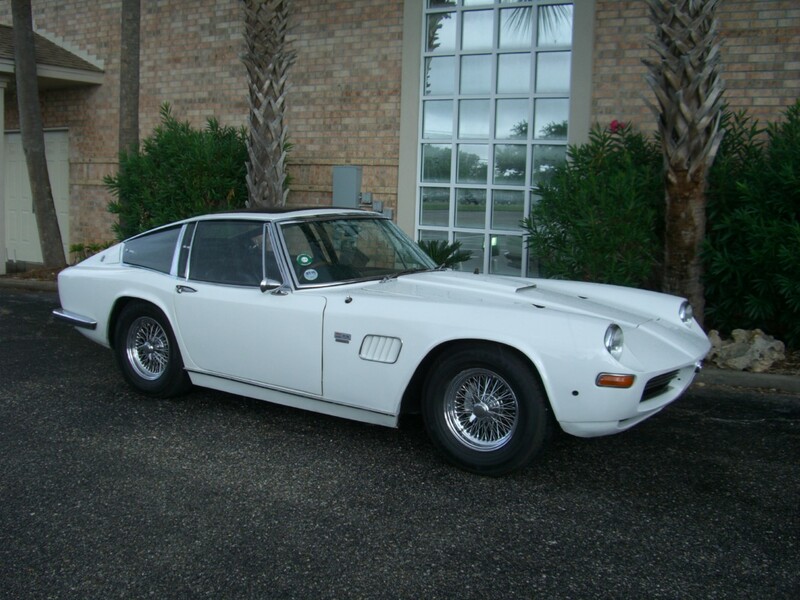 A true hybrid, the 428 has an Italian body - designed by Frua and looking very similar to Frua's Maserati Mistral - that sits on a lengthened British AC Cobra chassis and uses an American Ford engine. Not many of these cars were built. The number varies depending on what source you believe, but all agree that less than 90 (coupes and convertibles combined) were built. While rarer than an AC Cobra, they usually don't sell for as much. Located in Pensacola, FL, click here to see the eBay listing. 1974 Alfa Romeo Alfetta GT - While reading the Alfa Bulletin Board, I spotted this car. Here's your chance to have your own Alfetta GT project, similar to the one above. This car needs an engine. But if it's rust free (or as rust free as an Alfetta can be) and not missing too many parts, the $700.00 asking price is very reasonable. Located in Bolivar, MO, click here to see the Craigslist ad. There's a whole thread in the AlfaBB about the red Alfetta. And with any luck the car needing work is a '75 (they weren't imported in '74) which some Californian would be thrilled to snap up so as to avoid smog testing. I still have the red Alfa on top of post. Found some era correct turbo parts for a turbo build. Follow the AlfaBB if interesed. Thanks for posting the update an for keeping an eye out for Alfas!